Agree benefits are weak even for top status, although some properties are better than others. IC aside (where my AMB counts) i’ve always had good treatment at most CPs especially the NY TS property where a nice upgrade, drink vouchers for the bar (which pretty much cover any drink you like), and a reduced rate of just $10 for the buffet breakfast (in fact on a couple of occasions i’ve had a free breakfast voucher placed in my room). Thanks for the news about IC opening in Venice, I had no idea! The only info I can find is that it’s meant to have opened early 2018, so have you any further details on that Rob? 2019 now – an IHG exec (who is Italian) told me over lunch recently that it is definitely progressing. Rob, did you ask your IHG exec friend if he had heard any rumours of where the other competitors in his industry is going with their Status level perks such as the piece on Conrad possibly changing to paid access to lounges via room rate? The U.K. people have zero input into Rewards Club. Slightly OT . Just stayed at the Kimpton Amsterdam (bar still dark). Got a surprise when I was credited with 10k points as well as the usual points. After looking on the internet Kimpton are offering 10k bonus to IHG reward members to encourage them to use the Kimpton brand. Need to stay before 30 April. Yes, all accounts seem to have had this added. 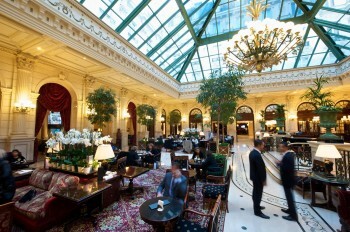 We are back at Kimpton next week for another look after the Eurostar launch event. I thought it wasn’t great last time? Noisy etc? Comped stay? Yes, IHG has comped it for next week. We told them Anika was invited on the Eurostar launch trip so they offered us a room, saying that they have now settled down after a dodgy opening (but the road is still there). We had a room that overlooked the middle and so wasn’t noisy.Really comfortable room. Our only complaint was that the first two breakfasts was cooked to order and were good. The next two were buffet and were awful. It was a buffet due to the hotel being full on those mornings. We complained and got some money off. However we did have a really good meal in the restaurant one night. I’ve said it before but the issue with IHG is the inconsistency in the hotels and the programme. I’ve stayed in some decent HIXs, some decent and awful HIs and CPs… had good upgrades in some places, no recognition in others, free breakfast at IC once, lounge access a few times etc etc. In short, you then need to do a bit of research so you know what you might get and can then weigh up other options. It is easy though to rack up IHG points. To that end, has anyone used AMB cert at IC Boston recently? Got a stay booked in May and would be good to know what was received. TIA. Didn’t use a cert at Boston but was a Plat ambassador. Early checkin, room upgrade and 4pm checkout. Discounted lounge access. Great hotel and even better to have these benefits when it was a BA holidays booking! Didn’t use certificate at Boston IC either but status recognised with usual 1 level upgrade free. On arrival we were then offered a harbour view suite with Club access at a very attractive supplement (which we haggled over a bit too as initially it was just the suite upgrade offered) as we were staying a week. We were also given $45 in drinks vouchers as it was a trip for birthday/anniversary/holiday combined. Ask for room on water side as a big & very busy main fire station is opposite hotel on city side & sirens are going at all times of day/night. Top floor lounge is very nice & great staff running it. Enjoy Boston, fabulous city! I used an AMB cert at IC Boston last April. I booked a club room for 2 nights with the cert and one night in a standard room with points. They upgraded us to a harbour view club room for all 3 night so that we didn’t need to change room mid-trip. I had to pay for lounge access on the reward night. The lounge is nice but I thought it strange that they don’t serve any food (other than the usual cookies, nuts etc) in the afternoon’s like most other IC’s I’ve stayed at. Maybe it’s a US thing. I was on a one night points stay there last year (bargain considering it was last minute and cheapest rate was $500), got upgraded to a very nice and large harbour facing room, drink voucher, late check out etc. lovely property, in a great location. I’ve long since ceased to expect anything of real value in IC Ambassador gifts and take them as they come. Our 5-night stay at the Sandton Towers IC Johannesburg shows why. This used to be my go-to hotel in JHB, alongside the Hyatt Rosebank. At 30k points per night, it’s not bad award value. However with Protea’s properties now part of Marriott, I fee the need to spread by wings a little. That’s on my list of possibles for next month. Thanks for the update. We’re at the IC at JNB airport tomorrow and I’m an ambassador. Hoping for headphones but i’m sure the kids would like the nougat. typo in penultimate line: ‘fee’ s/be ‘feel’. I’m done with IHG. Their so called “Best Price Guarantee” is worthless. I found a better deal on Skyscanner for Kimpton in Chicago during the marathon in October and my claim was rejected because booking directly through Skyscanner isn’t possible. This is not in their terms and conditions. As somebody who is retired but fortunately able to travel a fair amount, compared with my contemporaries, so long as I carefully select my spend, the IHG range of Hotels are decent value. I use a Holiday Inn Xpress in Colchester and one near Gibraltar and they are both good value and treat me like a real friend when returning. For me being a Spire member works and I also both black and white (for my wife) credit cards which work well for me. I think that IHG get treated rather poorly by some on here. In my experience, IHG is the only chain to give anything at all to those on first rung status (IHG Gold, Hilton Silver etc.) In the UK and Europe we **always** get something as IHG Gold, while at Hilton, Radisson or SPG it is just a few (10% or 15%) extra points. Sure, the higher levels in other schemes may give more than IHG, but there is no way either of us could ever reach them without buying it via a fee paying credit card. We have a last minute booking at an HI next week because of a funeral; 10 000 points for a £75 room. We know from experience that they will give us 300 points for our Gold status before we get there, offer us free drinks or another 300 points and almost certainly get both . Last year at the same place we always got free drinks for both of us (and, indeed, did every other IHG hotel we stayed at apart from two, which we under the same ownership (one was the CP Gatwick in Crawley, but the room was only £45). IHG may well be disappointing for those with Spire status, but at the bottom level, and bottom level pricing, say <£55, even one free drink, let alone two is around 20% of the bill and very well worth having. Think it is to some extent because a large number on here travel on expense accounts wanting the maximum from hotel/airline. They forget many of us are not in the same position so fully agree with you. I have collected IHG points for, at a guess, the best part of 20 years over which I have had some really good stays using points collected. how does $2000 spend accrue 60k points before promotions? I thought a gold would get 20k+2k? 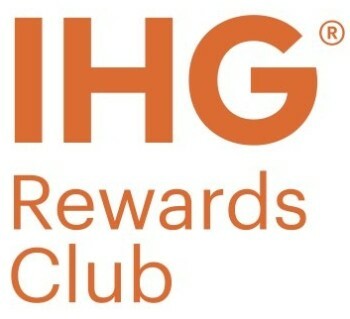 $5455 spend to earn 60005 points for an IHG gold. Fair enough if you are Spire, but if you are Silver Hilton or Marriott, then IHG is clearly better in terms of status recognition. Of course, as always, the crucial point to consider is location. If there is only one hotel brand where one needs the hotel, then that one will get the business! And I have have to admit that currently Hilton has been working well for us, but only because we have needed to be in / around Newcastle. Four nights this year for £160 cash plus 52 000 points. Earnings 31 640 points, half of which are promotional bonuses. A fifth Hilton in a couple of weeks should bring in another 12 000 bonus. For the benefits I have had as Platinum IHG against the £99 I personally cannot complain. As with any hotel or restaurant chain you have to do your homework and not just book blindly as that it a recipe for disaster. I’ve only stayed at HI, HIX and one CP as I tend to go for Hilton for the breakfasts and where available, lounge access but all of those have given me a room upgrade and two free drinks vouchers, some points and vouchers. I paid £130 for a HI junior suite just before Christmas and was upgraded to the Presidential Suite with double drink vouchers and free wine, ber, snack mini bar for 4 nights so I have benefited from £99 in spades. ‘Ive also got my free night certificate from the CC which I could have stayed in the IC Davos last week but for the fact the wife couldn’t get enough time off. The rep on the phone said they only had a superior room availability – shucks! All for £99! Some people just like to moan. What upgrades have you had at HIXs? I didn’t get a room upgrade at the HIXs obviously as they’re all the same room type so I could have worded that better but I did get two lots of free drinks and snack vouchers being cheeky enough to ask. Some HIEs seem to have fancier rooms than standard. We had a very pleasant room at the HIE Swindon two years ago. A huge corner of the building room with a large bed, a sofa, a couple of chairs and a large bathroom with IIRC both a bath and a walk-in shower. Bought as a points-and-cash-deal to fulfill an Accelerate target. The breakfast area was a complete disaster though, tiny, cramped and dirty. HIX in Crewe is worth getting upgraded at. Top floor rooms are very comfortable and quiet. Has anyone redeemed for the IC Da Nang? The property looks truely amazing and it’s rated as 11th best resort in Asia by Conde Naste (above some four seasons!). If anyone has any experience with booking reward nights, I would be interested if they were upgraded, if club access can be purchased, how the resort was, and how expensive buying F&B was. Thanks! Yes we stayed there in Sept .
Im Ambassador and Spire Elite . We used Points for 3 nights and then used our Free night certificate for the others. We received upgrade on both rooms to next level Room. Welcome gift was Wine and Fruit . If I was to stay there again We would not Pay for lounge access as we Feel its not really value for money as there were only 2 of us price was $210 US dollars Total . no children12 and under in lounge . We think its better just to purchase the amazing Buffet breakfast . Wow thanks Lee for the great response! So club is around £125 ($175) per night add-on for ambassador members which is pricey and but then I wouldn’t expect anything to be cheap when the property looks as high end as it does. I think it seems a great redemption at 50k points per night though? Also how was the weather when you went? Not recently but stayed here when it was only 30,000 points. Best IHG redemption ever! As a spire was upgraded to a room with the surfboard shaped table on a big terrace. One of the best hotels we have ever stayed. Just SPECTACULAR!! Matt, OT, but from Da Nang you’re only about 20 mins from Hoi An which is lovely. If you have time to get there, there are some fab restaurants and bars, all at prices which, coming from the UK, will either make you giggle or swear…. amazing massages for peanuts. And if so inclined, you can get custom tailoring at great prices. This is the IHG property I most want to stay at out of them all. But I found few redemption nights available and it looked like, as a family of 4, we would have needed 2 rooms. This means quite a hefty points balance is needed. Since I mostly use Hilton for the free breakfast, I decided I probably couldn’t manage it. My main fear would be saving up for a couple of years and them increasing the points price just as I thought I had enough. Article correction – spire elite qualification is 75 nights not 70. Just checked we payed $175 with ambassador Discount . $210 is standard Rate charged .